Bonheur d’occasion (1945) is one of the finest novels written in Canada. Its author, Gabrielle Roy, is often referred to as “la grande dame” of Canadian Literature in French. 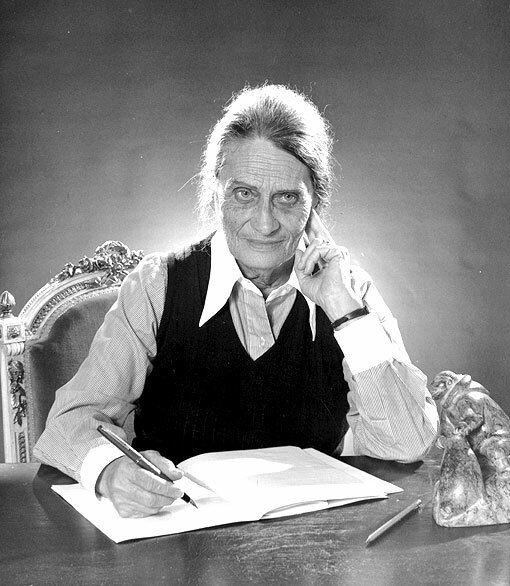 In 1947, Bonheur d’occasion was first translated into English by Hanna Josephson. Josephson’s The Tin Flute is a slightly abridged version of Bonheur d’occasion. In 1980, Roy’s novel was re-translated by Alan Brown, again in a slightly abridged version. It was then made into a film in 1983, the year Roy died. Gabrielle Roy CC [Companion of the Order of Canada], FRSC [Fellow of the Royal Society of Canada] (22 March 1909 – 13 July 1983) was born in Saint-Boniface, a French-Canadian community that is now part of Winnipeg. First, she worked as a school teacher and has written fine short stories about her teaching days. Bonheur d’occasion (FR), literally second-hand happiness was published in 1945, but it takes the reader back to the last days of Great Depression and the beginning of World War II. By 1945, Roy had moved from Manitoba to Montreal and worked as a journalist. Moreover, the last roman du terroir, regionalism, Ringuet’s Trente Arpents, had been published. The Tin Flute (EN), a novel, is about a family living in Saint-Henri, in slums, on the wrong side of the track. On the other side of the track, one goes up a hill to Westmount. Given its nearness to the very centre of Montreal, Saint-Henri is now being gentrified. It was a very poor area of Montreal. Rose-Anna is the main figure. She is married to Azarius Lacasse and is the mother of several children one of whom, Daniel, she carries in a little sleigh all the way up to a clinic. He is dying of leukemia and is sent to a hospital. Ironically, Daniel spends the last days of his vanishing life in a comfortable bed and a warm room, cared for by doctors and nurses who speak very little French but whom he just loves. In fact, that episode, or those episodes, Daniel’s last days, epitomize the novel in that they constitute a fine example of Roy’s chief tool as the author of Bonheur d’occasion: irony. One is happy when one is about to die. Death is the solution. But let us walk back down the hill to Saint-Henri. Rose-Anna has an adult daughter, Florentine, who works as a waitress at the restaurant counter of a dime store: le Quinze-Cents or the Fifteen Cents. Florentine is a little thin, but she is very attractive. The money she earns helps the impoverished Lacasse family and her father has a job. When Rose-Anna walks into the Quinze-Cents, Florentine is surprised to see her but treats her to a meal. Before leaving the store, Rose-Anne buys a tin flute for Daniel. So now we know why the novel was translated as The Tin Flute. However, everything goes wrong when, one day, Azarius tells Rose-Anna that they may borrow his employer’s truck and go visit her family who live in the country. It’s maple sugar season. Azarius had not been allowed to use the truck, so he loses his job. In the meantime, Florentine has fallen in love with Jean Lévesque who has a profession and is employed. She starts to dream. During a visit to the Quinze-Cents, Jean tells Florentine to join him at the movie house, which she does, but he stands her up. Later he comes to visit her at the family’s home and seduces her. As for Azarius, he now spends the day with the “boys,” in a restaurant. It’s their meeting-place and, together, they talk as though they could save the world, so they think. Florentine is being courted by another man: Emmanuel Létourneau. He comes from an upper middle-class family and wants to marry Florentine. She loves Jean Lévesque, but Emmanuel is now her only salvation. Although he is about to leave for Europe, as are his friends, they marry. She will get money every month and will live in a nice apartment. One day, after they have moved into a humbler home—the Lacasse move every year to avoid the raise in rent or possible eviction—Azarius comes home wearing a military uniform. Like his son Eugène, Azarius has enlisted. The family now lives next to the railway tracks. When she sees her husband, Rose-Anna screams, but the deafening din of a train that seems headed for their house muffles her voice. Bonheur d’occasion is an extremely compelling novel. Roy has managed to convey to the reader the degree of despair, and sometimes hope, of her characters. Roy has also managed to reveal to her readers the compassion she feels for her characters. I have seldom read so masterfully, yet subtly ironic a novel. However, Rose-Anna is not a mater dolorosa. On the contrary, few characters in Canadian Literature in French are as lucid and combative as she is. But what can she do? Bonheur d’occasion, The Tin Flute earned Gabrielle Roy a major French literary prize, the Femina (France). It also earned her the 1947 Governor General’s Award for fiction as well as the Royal Society of Canada’s Lorne Pierce Medal. It sold more than three-quarters of a million copies. In 1947, the Literary Guild of America made The Tin Flute its book of the month. Madame Roy could barely believe the reception given the novel. She had to leave for Manitoba to avoid the attention. In short, if Canada is still looking for its great novel, it may have been written 1945. Eric Satie, 18 Première Gymnopédie Gn. 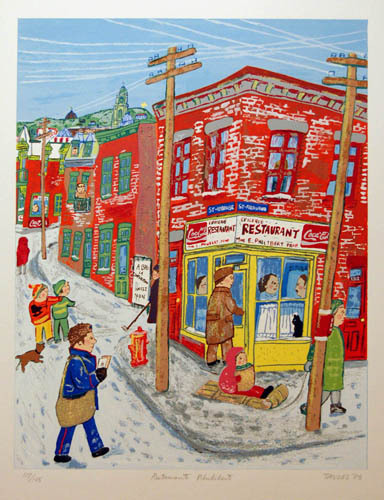 [i] Gabrielle Roy, Bonheur d’occasion (Montréal: Boréal, 1998), p. 89. 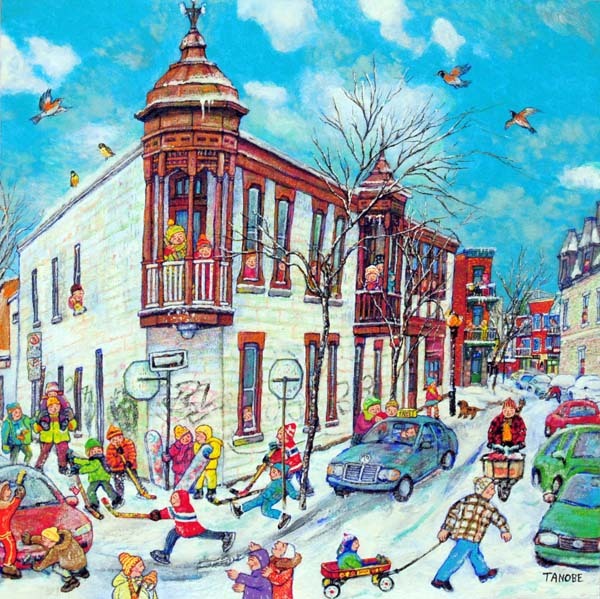 [ii] Michèle Lacombe, “Bonheur d’occasion” <http://www.thecanadianencyclopedia.com/articles/bonheur-doccasion>. [iii] David M. Hayne and Kathleen Kellett-Betsos, “Canadian literature.” Encyclopædia Britannica. Encyclopædia Britannica Online. Encyclopædia Britannica Inc., 2012. Web. 29 Jan. 2012.